There are different ways to come and visit the Cabopino Park and Costa Del Paradise are happy to do whatever suits you. 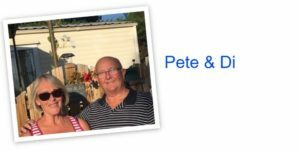 We a lovely couple called Pete & Di who live on Cabopino Park. Pete & Di have a great knowlege about living and moving to Spain and they would love to meet you.